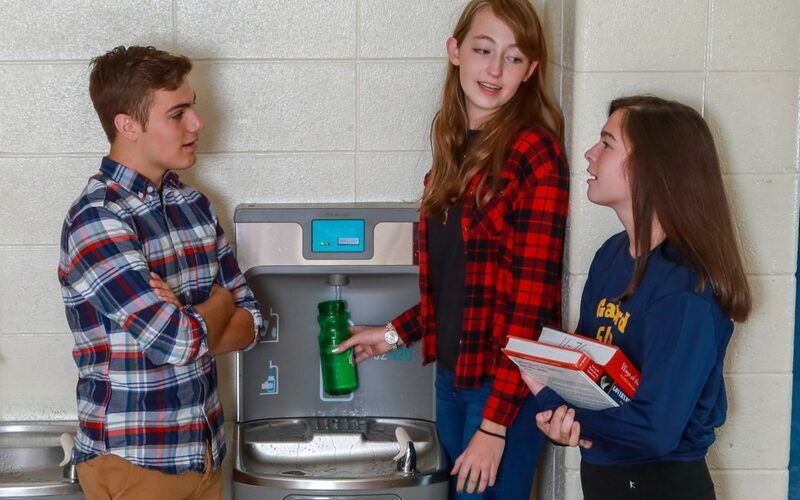 During the Community Grant Program in 2018, the Youth Advisory Committee of the Gaylord Blue Devil Wellness Center proposed the addition of water filtration/bottle filling stations throughout the high school to promote water consumption for students and reduce plastic bottle waste. They received funds for one station that was installed in the hallway between the common area and the gym. During the Otsego Community Foundation funding partners site visits on October 4th, the station had been installed for only two weeks and already filled over 2,500 water bottles. The first full month saw over 4,000 bottles filled. Students and staff are excited about the water filtration/bottle filling station, and the Gaylord Blue Devil Wellness Center has received multiple requests to have more of these stations installed in different areas of the High School building for greater access. 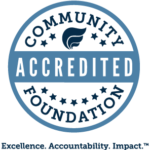 This project was supported by the Youth Fund, Kevin and Elizabeth Reynolds Fund, and the Dr. Patrick J. McNamara Fund of the Otsego Community Foundation.